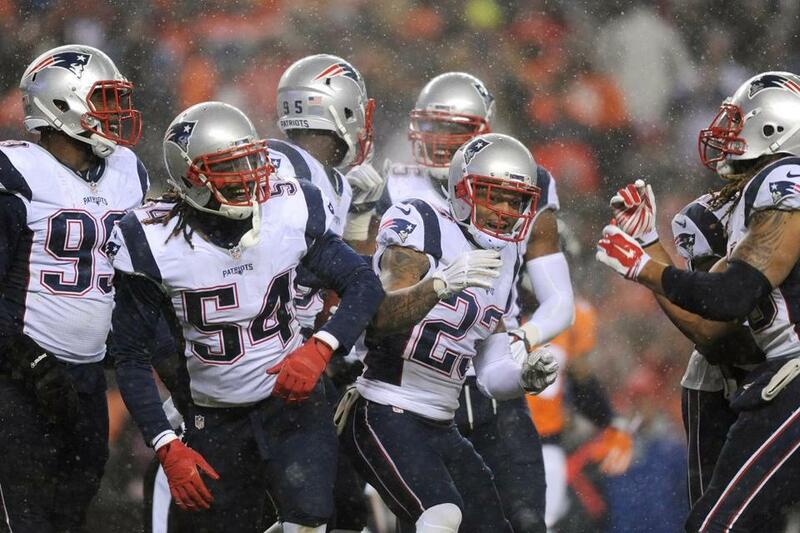 Dont&apos;a Hightower (54) did not play in the second half Sunday night. Patriots linebacker Dont’a Hightower has a sprained MCL in his left knee, the Globe’s Ben Volin has confirmed. Hightower was injured making a tackle on Broncos tight end Owen Daniels in Sunday night’s 30-24 loss in Denver. He left the game late in the first half and did not return. Hightower, New England’s second-leading tackler with 55, missed a game Oct. 18 vs. Indianapolis with a shoulder injury suffered the week before vs. Dallas. The timetable for returning from an MCL sprain can be one to four weeks or more, depending on the severity. Steelers quarterback Ben Roethlisberger suffered an MCL sprain Sept. 27 and was initially expected to miss four to six weeks, but he returned to practice 17 days later and played Nov. 1 vs. the Bengals.